Yesterday, I got the opportunity to meet the amazing, fashion IT girl - Alexa Chung. I have never jumped on a opportunity as fast I did. 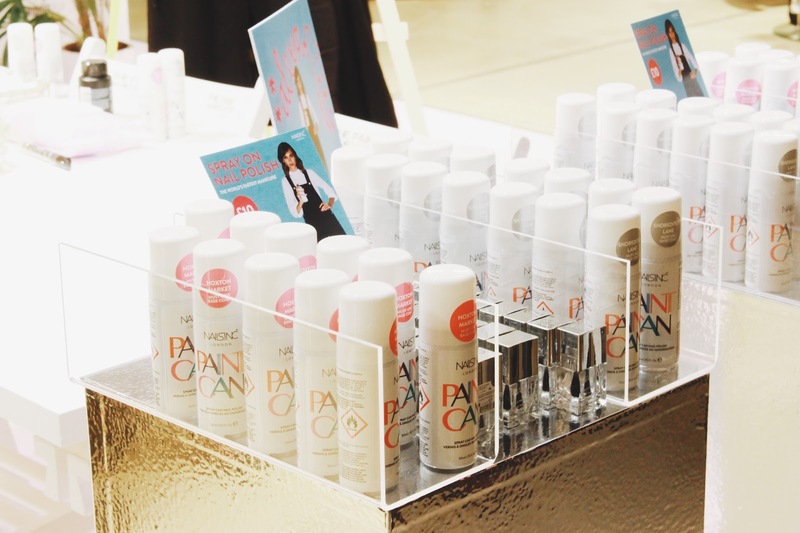 She was at the Trafford Centre, Selfridges in Manchester for the launch of Nails Inc Spray Can Nail Polish: the most genius idea ever! 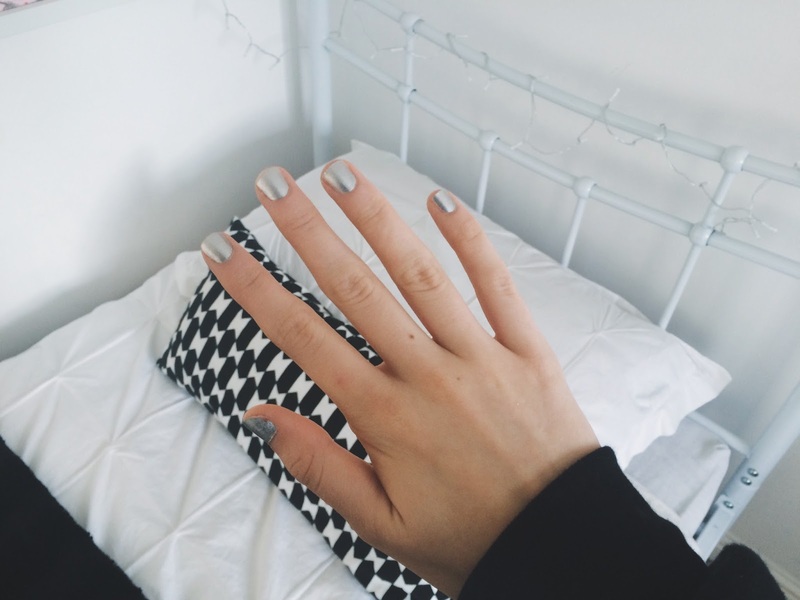 Whilst myself, other bloggers and fans waited for Alexa Chung, we got the chance to try out the Nails Inc Paint Can Nail Polish ourselves. As you can see in the photo, I opted for the silver and sparkly colour because it is perfect for this season. First of all, you have to apply the base coat and then you get to simply spray the can on your nails, not worrying about it going on yours hands. The paint dries super quickly and when you wash yours hands it is completely gone on your hands and you are left with the neatest manicure! I am the worst at painting my nails neatly so this idea is genius!! That sounds like such a brilliant opportunity, glad you didn't get star struck I know I would have! This product sounds revolutionary, I don't know why we don't all already have this I want it now.